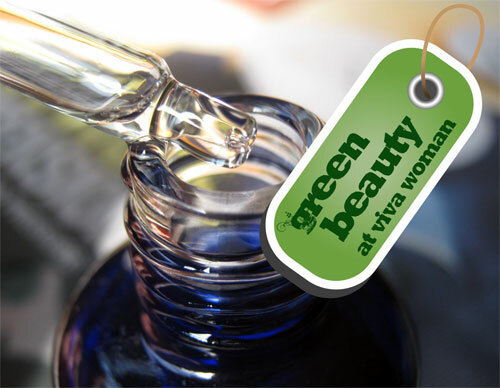 Mineral oil, a clear, odorless, and inexpensive oil distilled from crude oil, is a common ingredient in skin care products. 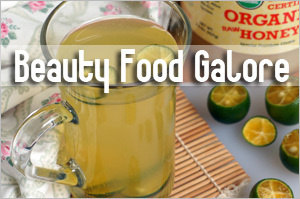 It is sometimes referred to as Paraffinum Liquidum or Petrolatum in the ingredient list. 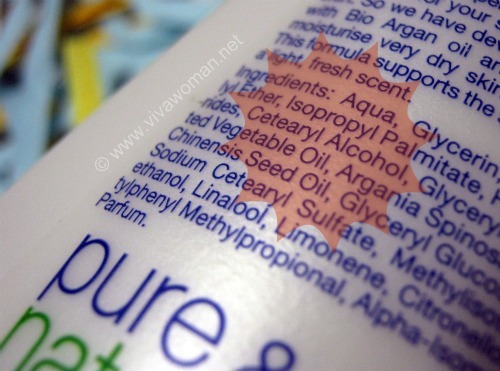 Although it sounds really ‘crude’, several cult beauty brands such as Nivea and La Mer feature this oil prominently in their skin care formulations. And despite the origin, the mineral oil used in skin care formulations are really of refined, cosmetic grade. So while there are plenty of discussions that mineral oil is toxic and should be avoided, I understand that the mineral oil used in skincare products is of pharmaceutical grade, certifiedÂ as either USP (United States Pharmacopeia) or BP (British Pharmacopeia), and that’s actually safe for skin. The fact that mineral oil cannot be absorbed by the skin also means it should be safe anyway. Â In fact, what is carcinogenic isÂ the technical grade of untreated and mildly treated mineral oils (source). Okay, before anyone jumps to a quick conclusion, I’m not making a case for mineral oil. 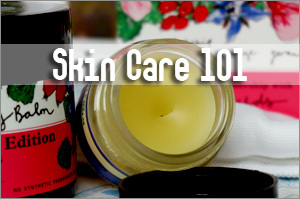 I actually steer clear of skin care products formulated with mineral oil. This is because mineral oil forms a waterproof and airtight occlusive film on the surface of the skin, preventing moisture loss. If the oil prevents moisture from getting out of the skin, it also prevents penetration of the active ingredients.Â So in essence, it does not do much good to our skin. In comparison, most plant oils are less effective at occlusion and they do get absorbed into the skin and are beneficial if they are a rich source of fatty acids, or contain vitamins and powerful antioxidants. They also make great carrier oils when used in conjunction with essential oils. 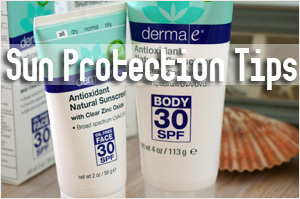 And while it is stated that the pharmaceutical USP grade of mineral oil are free of impurities and hence, not likely to clog pores but because mineral oil is an effective occlusive agent, even the USP grade has been found to magnify the pore-clogging potential of comedogenic ingredients by trapping them in pores. So, although mineral oil USP is not going to clog pores, caution should be used when it is included in leave-on products containing pore-clogging ingredients, especially with clog-prone skin (source). Most plant oils on the other hand, have a lower pore capability although oils made from coconut, cocoa butter, and wheat germ are considered very occlusive, with a high pore-clogging potential. So it is important that you find one that suits your skin. If we view mineral oil is a petroleum product, and plant oil as an agricultural product, then mineral oil is definitely not green, as it is a non-renewal resource and thus contribute to global warming. However, the production of most plant oils can also be energy intensive and so that provide a different effect on the environment. Personally, my concern towards ingredients is that they should benefit my skin and hence, my choice is definitely plant oils over mineral oil. But not all plant oils work for me either as some have caused me to break out too. Thus, like I’ve mentioned, it is important to choose those that works for our skin type. I have a few favorites including one that I commonly use and that is olive oil. What about you? Do you use mineral oil or do you avoid it like me? And what’s your favorite plant oil? 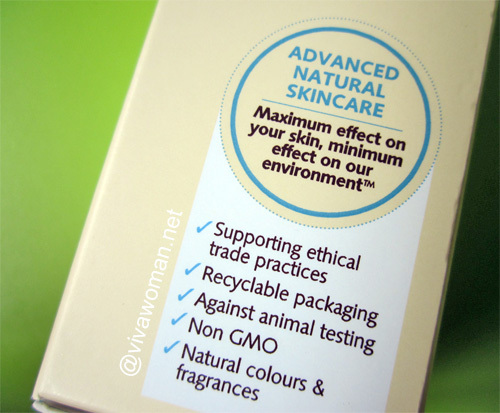 10 reasons why I love using plant-based oils on my skin Plant derived alcohol may be clogging your pores Green Beauty: choosing GMO-free beauty products Green beauty: do you care for green packaging? I’m using kiehl’s midnight recovery concentrate now, and it caused me to venture out into plant oils and essential oils. Not only plant oils are beneficial for our skin, some oils are aso beneficial for hair. I couldn’t use jojoba oil for my skin because it’s too rich, so I added geranium essential oil and use it as hair oil every few days. I also use sweet almond oil as my eye care since I run out of an commercial eye cream. The trick is, less is more. I was too greedy with the amount of oil used and I gotten milia seeds as my punishment. Now I only use less than a drop for both eyes. Yes, true, some of the oils are great for hair. I wasn’t aware that sweet almond oil can give milia seeds. 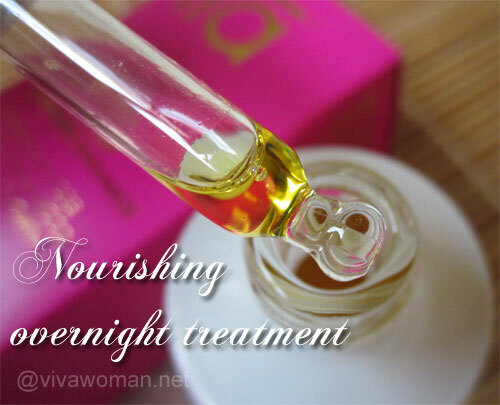 I had the experience with rosehip oil causing milia seeds. i guess my eyes are prone to milia seeds. i get them when i’m using eye gels even. i wanted to try rosehip oil for my skin but it goes rancid too fast and it’s out of my budget to replace everytime it goes rancid. I see…eye gels are way lighter but they still give you milia seeds? That’s quite tricky. For pimples, I’m using the Thursday Plantation blemish gel. It works for me. The eye gel I used is from eversoft, a cheap drugstore brand. Probably the milia seeds surfaced because I didn’t pat the eye gel in. I’ve RT-ed your tweet for this giveaway. Ooooh I was doing some read-up on mineral oil the other day, because my current go-to cleanser has been reformulated (People who know me well would know that I complain a lot about companies reformulating their products, because they don’t seem to make it better) and it now includes mineral oil in their ingredient list. My last experience with mineral oil was Shu Uemura’s cleansing oils, and it broke me out so I tend to stay clear of anything containing mineral oil since then. I did read that it’s not supposed to clog pores because cosmetics or skincare-grade mineral oil is too refined, but out of curiousity I tried my reformulated cleanser for about 3-4 times and I got little whiteheads on my face after washing… so no, it’s not an ingredient I’d want in any of my products. I also found that argan oil, for one, breaks me out. It was quite a horrible breakout too 😛 Apart from that other plant oils seem to be fine to me (I’ve tried quite a lot actually) though if I use an excessive dose or above recommended dose (Say, maybe about 10 drops when 3-4 drops is recommended) I do get some congestion. The thing with some companies reformulating seems to be to bring the cost up and substitute with poorer quality ingredients. Mineral oil btw, is very cheap and that’s why the companies are using it and of course those using it will tout it as beneficial. That’s one comparison I omitted in this entry. I’m sorry argan oil broke you out. I haven’t used it alone per se so have no idea. But you’re right, you don’t need a lot of the oil…one or two drops on a damp face works just nice. Yes, exactly. The cost of the products I’ve been using has remained constant despite the reformulation, but with the different ingredients list it probably cost them cheaper to manufacture so it’s definitely not really worth it any more. Sometimes I wonder if it has to do with the grade of the oils cos I experience the same. With some oil, it worked perfectly but the same oil purchased from another source might give me problems. Eg. emu oil and rosehip oil. I tried pure argan oil before. Worked wonders on my hair and my cuticles but it gave me breakouts when applied on my face. I’m guessing that it’s just not suitable on my facial skin. It worked fine on my body, though. But probably what I hate most about it is that it spoils easily and yet is considered quite pricey. Oh…maybe that’s why one of my oils turned rancid so quickly! oh my goodness! i have never realised that the Shu Uemura Cleansing Oil contains mineral oil! By chance is it this product that has been reformulated? i have been using this product for some time and recently changed to the pink colour one, which is purported to be lighter and better for oily skin and it didnt seem to be as effective as the older ones that I have been using (the green colour one). Not sure if this is the thing that has triggerd my acne problems?! i usually try to stay away from mineral oil, i can’t decide what is my current favorite now…as i have too many loves all of a sudden. but i use apricot kernel oil 3 drops + lavender essential oil 1 drop for night use 2x a week, havent experienced any discomfort so far, except for once i accidentally dropped 2 drops of lavender PEO, and it really stung my face! I’m still slightly uncomfortable about lavender oil. Recently started using one product again containing that and noticed that some of my sun spots turned darker. Not sure if it’s due to that but that’s the only change I’ve introduced into my routine. generally i stay away from all oils… i just don’t feel comfortable using oils on my face. i notice after using it, whiteheads will appear. i do still want to try out other plant oils later when my skin is better. It could be the oils were not suitable for your skin. In addition, I am also aware that some ladies experience more whiteheads when they use purer stuff like oils. But with proper cleansing and exfoliation, the problem was resolved. I quite like emu oil but it seems there are different grades of emu oils and some poor quality ones can cause severe clogging issues. I suspect those are not so pure. Yup you’re right. I’ve bought several samples that had a cloudy look or slightly rancid smell, which I couldn’t bear to try on my face. Until I was recommended the Country Divine Ultra Clear Emu Oil (http://lbemuoil.com/emu-oil/ultra-clear-emu-oil.html). It’s really clear and without a scent. It does solidify slightly and cloud when placed in the fridge (but will unsolidify and revert to its colourless clear state when left to warm up at room temperature), so I decant a small amount in a smaller bottle to use regularly, with the rest stored in the fridge. Oh nice! I’ll go and take a look. I haven’t been using pure emu oil for awhile now. I used to think that mineral oils are under the ‘natural umbrella’ because I see lots of products on shelf ( that state that they use all natural ingredients ) but contains paraffinum. I thought my skin was fine with that ingredient but it gives me a lot of whiteheads. My love for plant oils have grown because I see the wonders it do to my skin. I have a few fave: avocado, apricot kernel and pomegranate. I like Rose Hip Oil.Although I didnt use it regular enough to see its effects. But so far it sinks in quickly and wakes up with clear taut skin. I did used Jojoba oil when I had rosacea, it helped me greatly though a tad oily for everyday use. I like rosehip and it can help with scarring issues. As for Jojoba oil, I find it oily too. I’m kinda of worried about oil breaking me out thats why i only use oil on my legs and arms especially elbows. It is common worry, given the texture of oil. I had that concern too when I first use them but it turn out ok. It depends on the oil you use…some can cause breakouts. I don’t have a favorite plant oil, but I’ve been using jojoba, olive and argan oils without much problems. Love grape seed oil… but would u consider that a plant oil or fruit oil? I think it can be classified as plant since it is grown on a plant. I like that one too…first oil I tried if I remember correctly. I was once addicted to petroleum jelly. I had a small tub for my lips and a bigger tub for my legs and feet. I panicked whenever I forgot to bring the small tub while overseas ’cause my lips easily chap at night. But as I shifted to being more natural, I looked for alternatives. Quite honestly, I haven’t found any plant oil based jelly as heavy as petroleum, not even coconut oil jelly which is supposed to be one of the heavier oils. I guess, just like what you said, it’s because plant oils somehow sink into the skin while petroleum stays as a layer on the surface so it feels nourishing although it really isn’t. my hair, Emu for my face (although am using MVO AA Oil Plus –sounds like a type of battery, doesn’t it?) and Olive/Apricot Kernel/Almond for my body. I can’t use most formulations with petroleum jelly on my lips – my lips will dry out. But yeah, they’re really thick. Haha…funny comment about the battery sounding name! EcoBeauty, haha I know this is a bit of an old post so you may not read this, but have you tried using pawpaw ointment on your lips? I use it (Lucas’ Papaw Ointment) all the time. I have found it so great to use. My lips are rather full and will become dry a lot. And if I forget to bring it with me I start to get a panicky sensation lol. The good thing about mineral oil (assuming, of course, that you’re not sensitive to it) is that the barrier it creates serves to protect the skin. Also, even though it can’t penetrate the skin in order to moisturize, wouldn’t the barrier still prevent moisture LOSS? That said, I’m not a huge fan of mineral oils either. More and more, I find myself using oils. My skin is a bit on the dry side, so I like coconut, jojoba, and hemp oils. I also like these oils for my hair and body. One question, however: given the impenetrability of mineral oil, would the OTHER active ingredients in a product (peptides, antioxidants, emollients, etc.) still be able to penetrate the skin, or would the very presence of mineral oil keep these ingredients suspended on top of the skin?? I suppose if you apply them first, then they would penetrate…assuming we’re speaking of different products and the active ingredients are with the mineral oil. And although it helps to prevent moisture loss, but I’ll probably choose other plant oils that are more occlusive that has some skin benefits other than just preventing moisture loss.But granted, they typically cost more than mineral oil. I realised that the Jojoba oil from Dessert Essence that I am using now does not leave a greasy residue on my skin & absorb really well. I know a lot of Japanese brands carries cleansing oil. I myself had tried those from Haba & samples from Fancl before. I wonder if these are natural? Not too sure…must go through the ingredient list to know. Been a big fan of natural oil since I started mixing Rosehip with Camomile and geranium essential oil on my face 1 year ago. Not a big fan of minerals as my pores clogs really easily if the product contain heavy oils(not even almond/macadamia seed oil). Been using Anti-aging and treatment oil from MVO and so far no major breakouts. Been using grapeseed+ lemon grass for my body and Argan + rosemary essential oil for my hair and it does moisturize my hair and body pretty well. It smells really good too. But I realise argan oil’s texture is quite thick, so I guess its only on my hair or maybe 10-15 drops per 1 oz of my own mixture of facial oil just to test out. 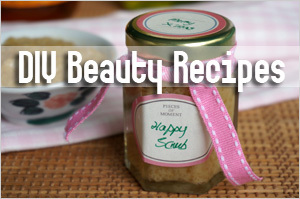 Wow, love your concoction for your body and hair…sounds really lovely! I love the smell of lemongrass. I find mineral oil based cleansing oil thicker but anyway, I don’t really like cleansing oil as much as I like cleansing milk these days. Juice Beauty Cleansing Milk doesn’t work for me. What brand of cleansing milk are you using? I was using Ren and it’s very lovely but so expensive. The other one I like is Kimberly Sayer’s…very good for acne prone skin. Mukti is a good brand to check out too. 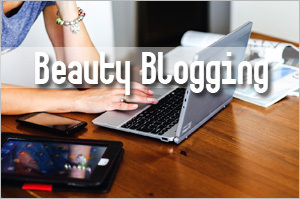 Personally I love their products but cos I’m blogging, so I need to try other products. Otherwise, I’ll stick to using them. Many of the usual commercial brands of lipbalms contain petroleum jelly…one of the #1 lipbalm is such. 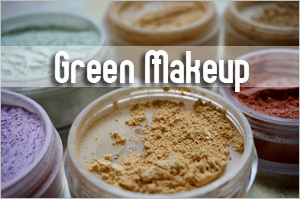 Do you know the site cosmetics cop dictionary? I use it to check out ingredients. She has a favorable view of mineral oil. Currently I am trying out marjuca oil because it was in a Tarte kit. Yeah, she has because her products have it! She’s always running down on natural ingredients and promoting those that are used in her products. That’s a good point! I don’t buy her products so didn’t think of that. She definitely has a conflict of interest…posting reviews and also promoting her own products. Hey, on another note, I just ordered Healthy Origins Astaxanthin from iHerb recently. Can’t wait to take it! I’m excited to have my eyesight improved too! This is an interesting post. I don’t know much about mineral oil so glad to learn all this new info here (including people’s comments) :-). I don’t have much experience using oils on my face, because I’ve always had oily skin so been averse to oils for the longest time. But lately have been reading more and learning from several blogs so more game to experiment now. Sesame, I think you once said you usually warm the oil up in your hands first before applying onto your face; how do you do this? with your fingers or palms? ‘cos if you use only 1-2 drops, I feel it will all be absorbed into the hands already then not much left to apply onto face? I always apply a drop or two to the middle of my palm and then using my fingers from the other hand to warm up or sometimes using the palm, before applying to my face. It is done quite quickly and I haven’t encountered them being absorbed into my hands. Also, when you apply on your face, take some time to massge the oil in or cup your hands over your face to give some warmth. What about sunflower oil? Any comment? 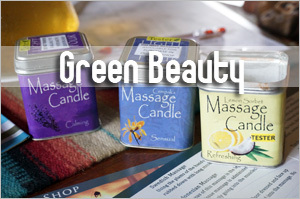 What about oils that Garden of wisdom is selling? Tried any of those uncommon oil yet? I have not tried sunflower oil alone but it sounds like something quite gentle to try. 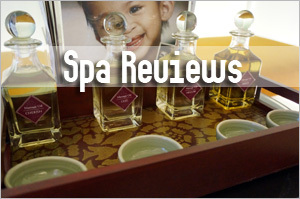 As for GOW, no, never tried any of their uncommon oils. Like you, I avoid any cosmetics that contain mineral oil. It irks me to see mineral oil listed as the first ingredient on a bottle of “Olive Oil”. Yes, olive oil is readily available…cheap and good! I normally avoid mineral oil, if possible on my face, oil gave me the impression that it will clog my pores and cause breakout. But i do use essential oil with carrier oil on my body (lavender with grapeseed oil). I love the smell of Lavender and grapeseed oil is light which easily absorbed without feeling greasy. When i was younger, I used to use vaseline on my lip which was cheap but after reading so much on Petrolatum, I have made a switch since then. Now its only organic on my lip. I found this post quite educational and informative. Never really paid that much attention to the whole oil vs. oil debate, but ’twas a good read! Yup! the only plant oil I used (after strongly recommended by my sis-in-law) is flexseed oil. Effective for milial seed though it can be oily when applied too much. As a result, I only apply a thin layer at night. I agree too with your view. With commercial advertising so convincing, as a consumer who is ignorant to what goes into your skin products, I’m sure they would be serenaded by the benefits of mineral oil instead of finding out how bad they can be for your skin. I was one of them years back. All the vaseline.. the petroleum jelly.. the mineral oil makeup remover. I’m glad we have plant oils such as olive, jojoba, evening primrose and all. 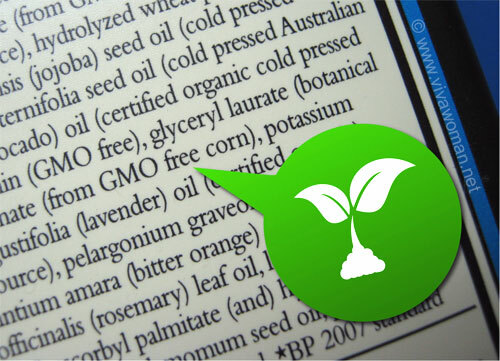 different plant oils have different properties. so there’s always a solution for something! recently, I’ve been using evening primrose to massage my face for 5 minutes before rinsing off every other evening. I don’t do the OCM with steaming though. I just massage upwards and then rinse off. it helps to remove whiteheads and unclog my pores. and it also moisturizes my skin and makes it super smooth. And it’s cheap too! I’m yet to explore more on carrier oils though. Will need to look out for some supplies soon. Oh that’s a shame. Sometimes the people who sell the products don’t know anything about ingredients…that or they lie. Oh yes, I love grapeseed oil too…probably the first pure oil I’ve used. For my pimple prone skin, I will avoid facial products with mineral oil as it will cause me breakouts. Also, I dislike the oily and heavy coating that it leaves on my face. But, mineral oil in body and hand cream works well on my super dry skin. I do not have any favorite plant oil as I still have not figure out what is best for my skin. thanks for showing the differences. I have acne-prone skin. In the past I have tried many acne products and all of them dried out my skin. I have read about mineral oil is not suitable for people with oily skin so I try to avoid buying products with mineral oil. Recently I decided to use MVO treatment oil, which contains jojoba oil, safflower oil, sunflower oil, pumpkin seed oil, emu oil, borage oil, black willow bark extract, vitamin E oil, acai oil, etc, and this has really helped control my acne. The best thing is that it doesn’t make my skin flaky but instead gives it a nice glow. So glad MVO’s products are working for you. Are you using the full range of the acne treatment products? I’ve been looking for someone who has acne prone skin to help me review the products (must be located in Singapore though). Are you game? If yes, just let me know and I’ll check with them again. I haven’t really tried many oils. One of the few I tried is tea-tree oil to treat acne. But then I heard it caused breakouts, so I stopped using it. I’ve also used Bio-oil to reduce scarring on my face and that worked quite well. Bio-Oil contains mineral oil though. I missed a lot of your posts!!! I had been thinking about mineral oil lately coz I bought baby oil to get rid of sunscreen residues and was actually worrying if the mineral oil is good or not and your post has clarified a lot and yup, mineral oil feels like its sitting on my skin and somehow I do not like the slippery feel it has…I like an oil to be thick but to be absorbed quickly….my new love is apricot oil…its a little thick but gets absorbed so quickly into the skin!!! I’m the biggest fan of oils ever since my friend introduced me to Rose hip oil. I’ve expanded to a wide range of oils such as avocado, neem, grape seed, etc etc 🙂 I also mix some to make it my “lotion” and it makes my skin soft. And I avoid mineral oils too…somehow, i try as much as possible to avoid it in products. I love natural oils and avoid mineral when ever is possible. First oil I’ve use was jojoba. At the time, I had oily skin with some acne and it helped me a lot. Presently, I am switching between camellia oil, hem poil and shea butter. Actually, I love mixing my own creams and those are my current favorites. I am trying to solve my seborrhea with neem oil now. I’ve had very good experience with several plant oils (avocado, sesame, almond, jojoba, laurel and so on), and not so much with mineral oils, so I have to vote for plant oils. 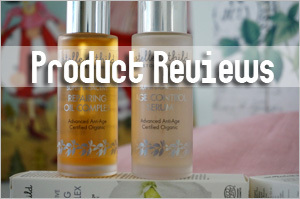 I am lucky not to have sensitive skin, so it’s not that I get bad reactions to mineral oils. But I do see that they don’t improve anything and I do notice the clogged pores and occasional break-outs, so there is no dilemma. A propos, my next test will be hazelnut oil. I have read that it’s lightweight, slightly astringent and skin-tightening so it sounds very promising! Hazelnut oil? Oh, that’s something new to me. I don’t remember seeing it often enough. But nut oil can go rancid a bit more quickly and so I tend to avoid if possible. I was told long ago that it dries out skin. So I’ve avoided it since then. Thanks for the information. Thats all the more reason. I usually just use oils rather than lotions. It is hard to find anything with out mineral oil or alcohol. I use a wide variety, but olive oil has seemed to suit my skin well. Even on my face it is one of the best. Yes, olive oil is probably one of the most accessible and friendliest oil to use on our skin! some people say mineral oil wont clock my pores and such, i havent tried any products with mineral oil but i still think i should stay away from it. I just carrot oil for my face but not sure if it contains vitamin A and if yes, does my skin absorb it. Wheat germ oil .Wheat germ oil contains vitamin E. This nourishes the skin and reduces the ageing process by reducing excessive catabolism of the skin tissue and increasing the life of cells. It also helps in blood circulation.Lavender is excellent for the skin. 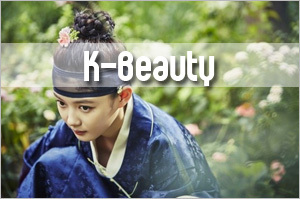 It is antiseptic, healing and balancing for the skin. Chandan cleanses, soothes, softens and heals the skin but i always do a patch test:) before using the oils or natural ingredients for the first time on your face or all over the body. First time coming across Chandan oil…never heard about it till now. Rose oil is great and wheat germ is rather nourishing too. Plant oil for me, I stick to the “if it’s safe to be eaten, it’s definitely safe for my skin”. Mine is olive oil too! It works wonders for my skin (super soft after application) and easily accessible. For hair, it’s coconut oil. Keeps it soft. My mom who had patches of white hair used coconut oil consistently for 3 months and her hair started turning black again! Cheap and natural solution to help keep hair black. Coconut oil made her hair black??? Woah, I want to try it! Many blogs/materials have long discouraged the use of mineral oils and thus I’ve shunned it all along… Tea tree oil from The Body Shop seems to help my skin in certain types of blemishes but not so much in some other. The one oil I stay true to is definitely Olive Oil! I think the one from TBS has other additives if I’m not mistaken. My biggest concern is that oil is occlusive, meaning the skin can’t breathe because I’ve been using coconut and leaving it on at night. Then my makeup has sunflower oil, castor oil and beeswax adn that’s causing oil plugs. Is all this oil really that occlusive? I see better skin results, but if it’s taking all my toxins to my liver, then I don’t want. Certain oils are more than others…coconut oil and olive oil are known to be such.